Opening for Jay Leno- Ace of Comedy shows 2016. The Joint- Hard Rock, Las Vegas! Second day of the Dell corporate event at Aria Hotel and Casino, Las Vegas. At The joint- Hard Rock Hotel and Casino, Las Vegas. Dell corporate event at Aria Hotel and Casino, Las Vegas. Joshua Danger at Dell corporate event at Aria Hotel and Casino, Las Vegas. Backstage Ross Mathews; Host from E! Live at the Red Carpet. At The joint- Hard Rock Hotel and Casino, Las Vegas getting ready to go up and sound check. Carrot Top at our show!!!! 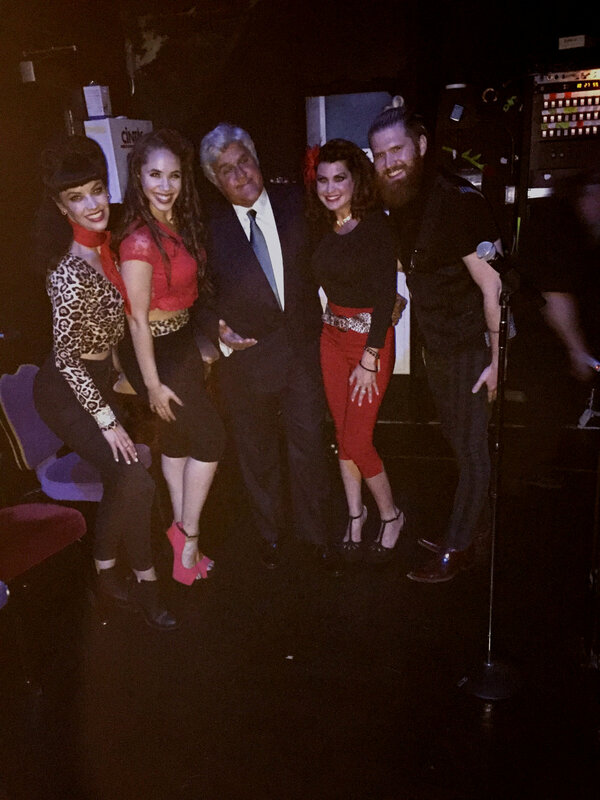 Josh and Shannon of The Sound Collage backstage with Jay Leno after opening for him at The Mirage Hotel and Casino, Las Vegas. Corporate event for Sitecore in Barcelona, Spain. The Sound Collage opening for Bill Maher at the Mirage Hotel and Casino, Las Vegas. Backstage after opening for Jay Leno with half of the group. Zappos grand opening media event- Container Park.